This deck includes a variety of organisms that can be found as speciment exhibits in London’s Natural History Museum. Happy hunting! Deck Development – see below for details. The NHM, London Deck contains SPECIES cards of organisms that can be found on display at the museum. Note that this also includes some organisms represented as art (such as those on the ceiling of the Central Hall), as well as live specimens found in the garden. 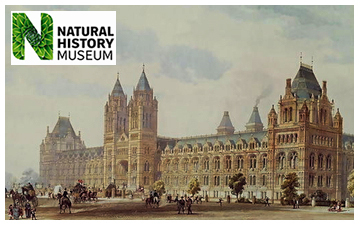 There is also one card that can only be found at NHM’s sister museum, the Natural History Museum at Tring. Also included in the deck are some EVENT cards. You can build on this deck by printing more SPECIES and EVENT cards from here. A set of 16 bonus photo cards of SPECIES found in the museum can also be downloaded here. This deck was first announced in the museum’s Second Nature magazine (a free magazine they give to members with young children), Issue 35, January 2011. Copies of the poster (2.5Mb JPEG), and article (4.9Mb pdf) are available for downloading. Note that the article refers to a Blue Whale drawing contest and that this can only be entered by NHM members. Banner photo modified from this image. Photographer: Roger Green. Some rights reserved.